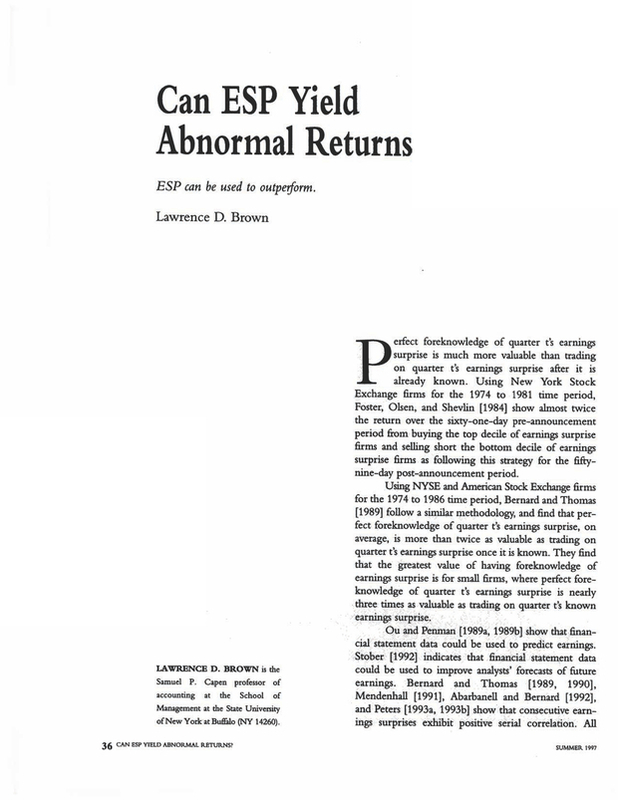 Can ESP Yield Abnormal Returns? The Samuel P. Capen professor of accounting at the School of Management at the State University of New York at Buffalo (NY 14260). You are going to email the following Can ESP Yield Abnormal Returns?